Sudhanshu Hospitality & Management Services Pvt. Ltd.
Super Services, an ISO 9001:2008 Certified Company, specialists in servicing and repairing home appliances such as: washing machine, refrigerator, air conditioner, microwave oven, lcd tv, led tv and plasma tv. 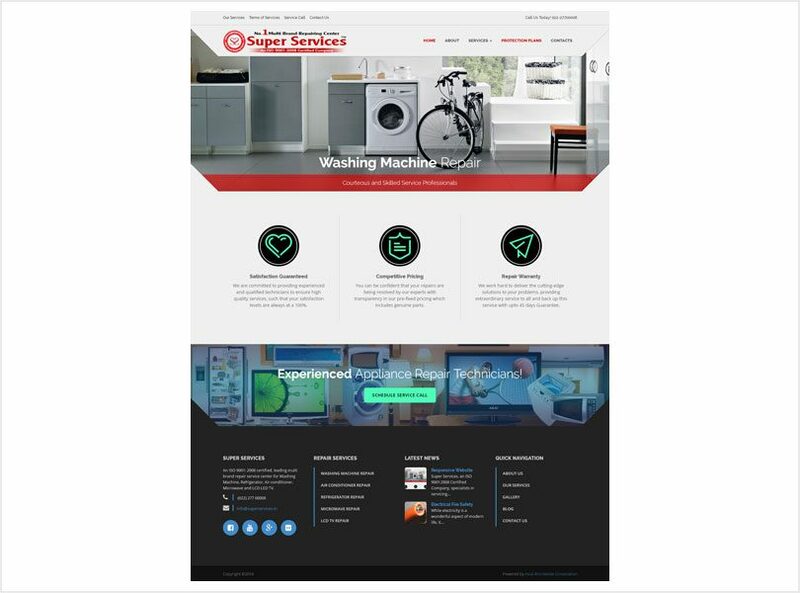 From our humble beginnings in 2001 as just a spares specialist we have expanded to become a leading domestic appliance repair company in the country; with coverage in Mumbai and Navi Mumbai Metropolitan area. We are perfectly placed to help every household. All service calls are booked in our central office and are immediately transferred to our mobile technicians for quick response. Depending on the nature of your equipment problem, your on-site service call can be completed the same day. Our technicians provide expert service on all makes and models of washing machine, air conditioner, refrigerator, microwave oven and lcd led tv.